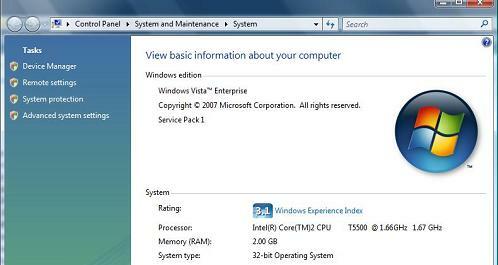 Windows Vista - What Windows Vista Edition Am I Running? How to find which edition of Windows Vista I am using? How to find other Windows system information on my computer? The edition of Windows Vista you are running is displayed under Windows edition near the top of the window. You can also get to the same System Properties screen by clicking Start > Control Panel > System > Maintenance > System.